It is remarkable that the authors and the publisher have made this book freely available at the MIT Press site, licensing it under a Creative Commons license. That is much appreciated. The existence of HTML source has made it possible to convert the book to other formats, some of which are presented here. Current revisions are based on the Unofficial Texinfo Format (UTF), version 2.neilvandyke4, which has grown out from Lytha Ayth’s version 2. Many thanks to Lytha Ayth for the conversion effort and to Neil Van Dyke for maintaining and hosting the UTF. One minor detail to fix was the redundancy in cross references. A simpler way to link to another section is shown below. Figure and exercise pointers are also shortened. Page numbers are obsolete in ebook links and have been dropped. There is page number on each page, though (only in the ordinary pdf, not in pocket edition). 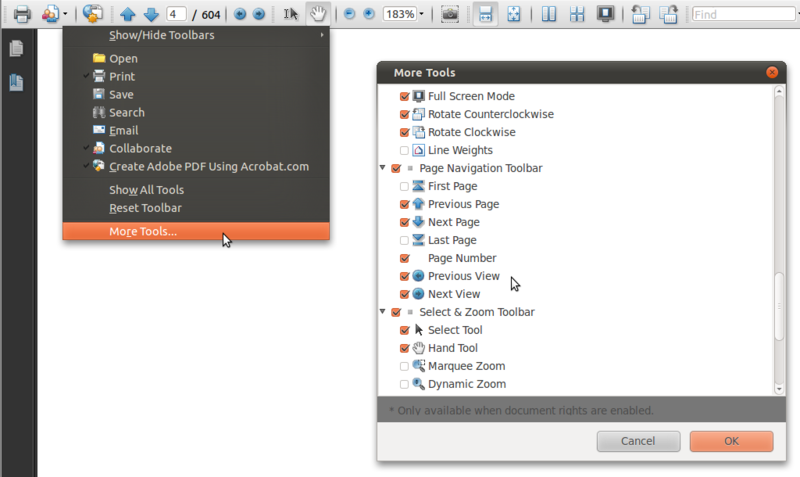 If you are using Adobe Reader 9 to view the PDF, you may want to change some display settings. First, go to Edit → Preferences…, then choose Page Display from the Categories list. In the Rendering section, uncheck Enhance thin lines. See the illustration below. This way the roofs of square roots will not render overly thick. Might be that the opposite setting will look better on your screen. When reading the book and seeing a cross reference, you sometimes want to follow it to take a quick look. Then the PDF reader jumps to another chapter or exercise, for example. But how do you get back to your original page? It helps if you memorized the page number, but who pays much attention to such detail? In fact, you don’t need to. Just press Alt + Left Arrow and you are back where you were before the jump. Press Alt + Right Arrow to follow the link again. Those are just like Back and Forward buttons in a web browser. If you moved around in another part of the PDF, you might need to press the Alt combination several times before you get back. That’s because some of the page navigation commands will grow the navigation history and others don’t. Xpdf also supports link navigation using the outermost arrow buttons on bottom left toolbar. Evince follows the links, but doesn’t know how to jump back. Other readers’ navigation abilities are unknown to me. To conclude this page, I hope the above information will enhance your reading experience. There are still typos to be found, if you find one, let me know. Reading the navigating the PDF section makes me think that a modern HTML5 version with MathML and SVG would be appropriate. I agree. 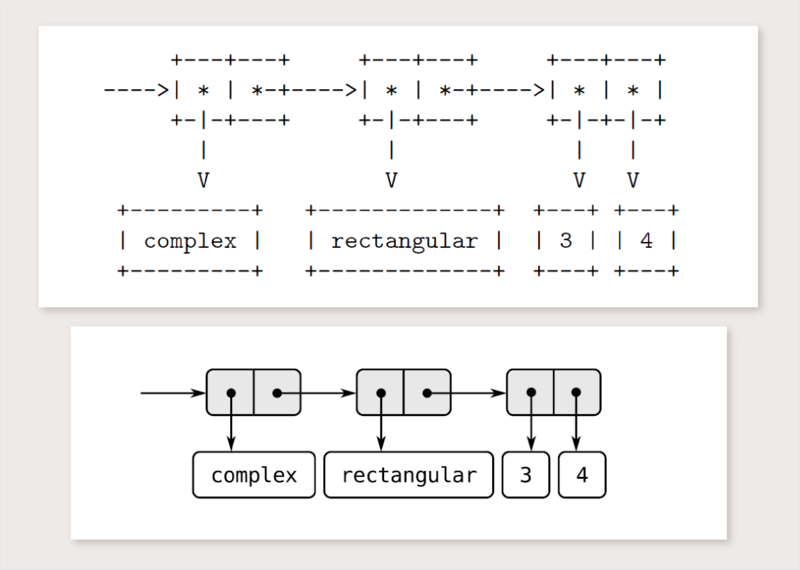 A new version with these plus MathJax and improved typography is planned. I’d like to be able to print a hardcopy of the updated pdf using lulu.com. They have a 740 page limit and the current pdf is 762 pages. Is there a simple way to produce a pdf that will fit within lulu’s 740 page limit ? Yes, it can be done. Give me two weeks. thank you for going to that trouble – much appreciated ! Beautiful! Thanks to you I’m finally about to finish the book! (Reading in other formats has been too hard on me..